We offer group classes of all levels with certified coaches. 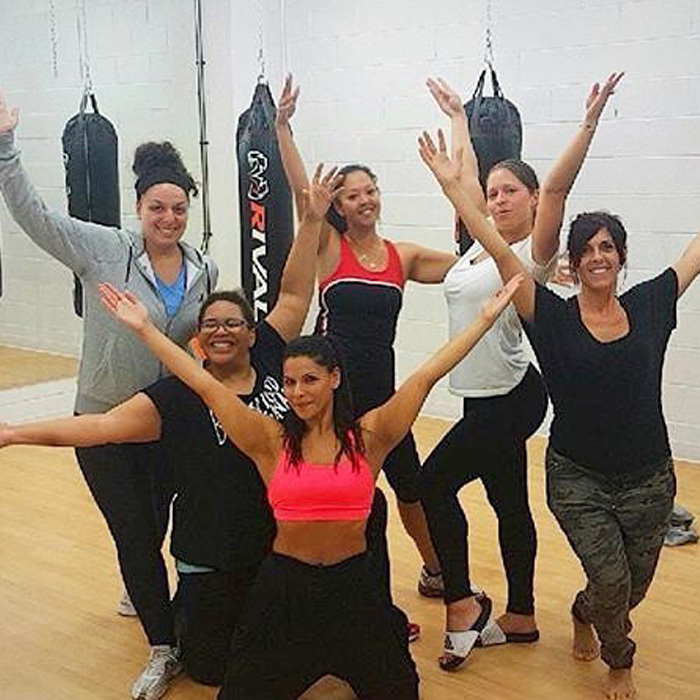 For a VIP and personalized experience, our classes vary from 3 to 12 people. In the summer, if the weather permits, the coach can give the class outside. * A minimum of 3 participants is required during the session to maintain a course. If you have access to the courses in your subscription, you have unlimited access to the schedule. Schedule and instructors are subject to change without notice. Functional training is the opposite of analytic training (regular training on machines) and is based on the subjective decomposition of the body. Three planes of motion are involved in functional training: sagittal, frontal (lateral) and transverse (rotations). The movements are global and involve one or more muscle groups. It is what is closest to the activities that we practice in everyday life. Functional training will make you more productive in your everyday life and will prevent injuries. 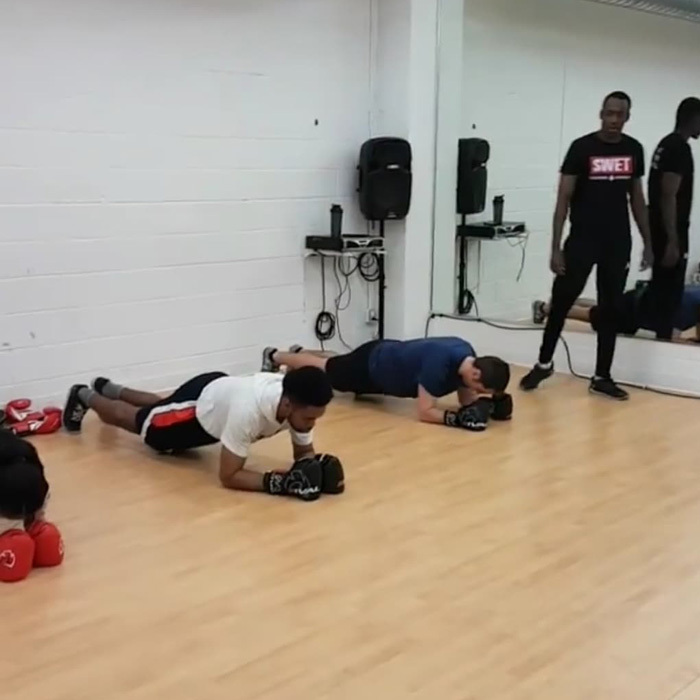 The personal trainer ensures effective and safe workouts. It has been proven that having someone guiding us improves the quality of our workouts. Motivation equals quick results, which reduces the chances of giving up. Have a maximum of fun, enjoy the benefits of working out and reduce training costs by getting together your friends, colleagues or family members. Feel like a champ in our 60-min class combining proper fighting technique and cardiovascular conditioning. Gloves are required. You may bring your own pair or rent them free of charge at the desk. Class sizes are small, allowing individualized attention and one-on-one mitt time. 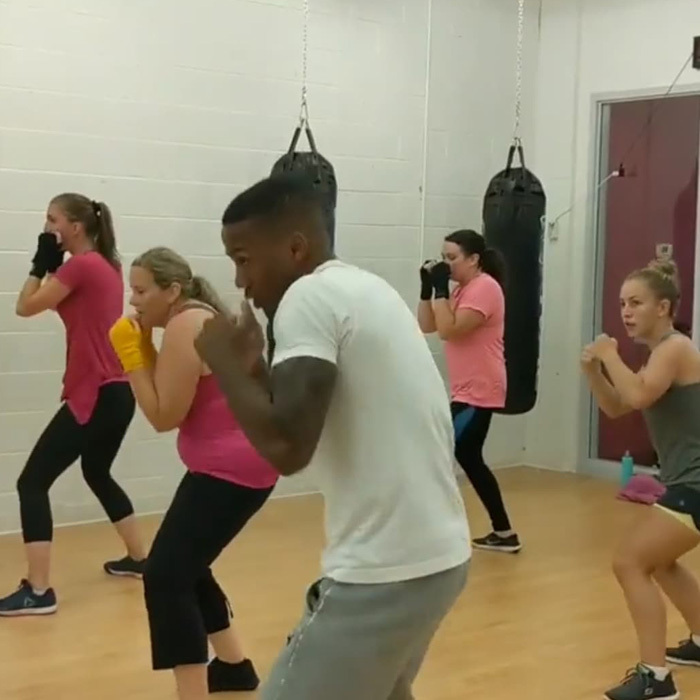 Kickboxing is a combination of martial arts, boxing and cardiovascular conditioning. You will learn proper fighting techniques including how to kick and punch as well as develop strength, speed, endurance and flexibility. This full-body workout is a combination of movements and exercises that not only allows you to hit every muscle in your body, building strength but also improve your balance and alignment. Without the use of any weights, the main idea is to perform muscle actions, featuring plyometric, yoga, Horton’s technique inspired core exercises and deep stretching. Newbodyart is a dancer’s approach in the fitness world. I’m here to create a positive and rewarding experience that will influence people positively physically, mentally, emotionally and perhaps spiritually. Develop strength, self-confidence, and assurance with our self-defense classes! 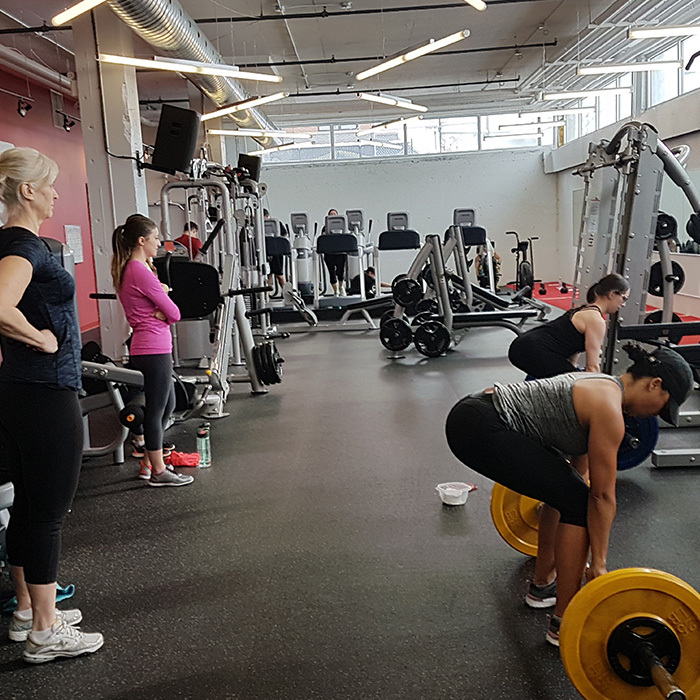 This class puts the emphasis on learning proper weight-lifting technique and form in order to reach strength training related goals. 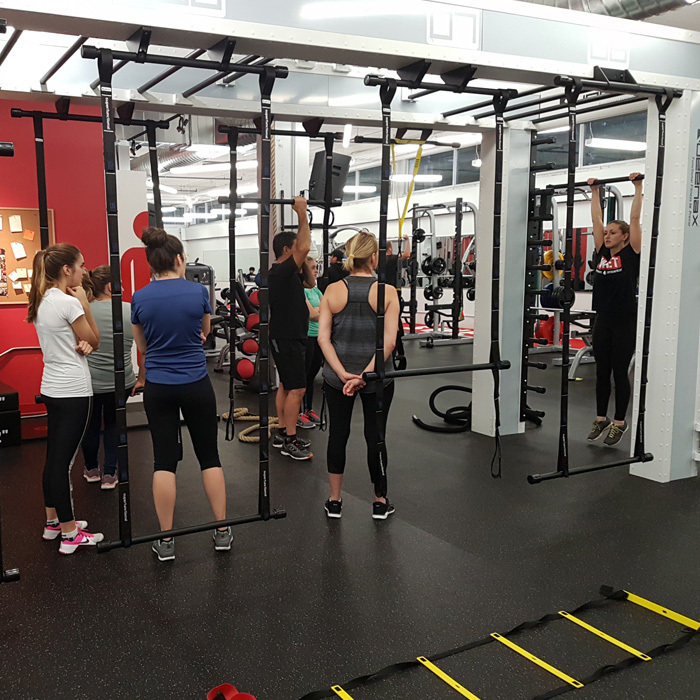 Challenge yourself in our 60-min boot camp style circuit class with intense cardio and strength conditioning. Swet camp sculpts your body into the one of an athlete by toning your muscles and burning calories. Levels for this class range from beginner to advanced. It is a discipline of the body and mind that includes a wide variety of exercises and techniques. The style can be varied according to the coach who gives the court. The techniques employed use physical postures, respiratory practices, muscle as well as meditation. 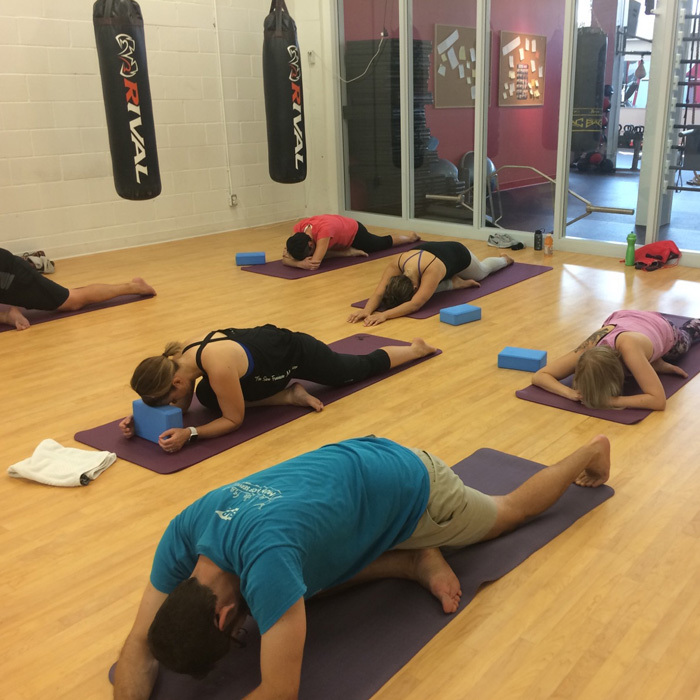 Yoga is a discipline of the body and mind that includes a wide variety of exercises and techniques aimed towards improving flexibility, core strength and stability.